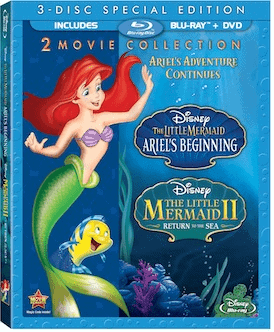 Ariel’s adventures under the sea continue in The Little Mermaid II: Return to the Sea and The Little Mermaid: Ariel’s Beginning, on Blu-ray as of November 19, 2013. Featuring all-new songs and characters, this Blu-ray release is a must-have for any The Little Mermaid fan. In Ariel’s Beginning, we get a glimpse of what Ariel’s childhood was like in Atlantica. The film opens with a much younger King Triton (who has red hair, just like his wife and daughter) enjoying a beautiful day with his entire family. Athena, Triton’s wife, is taken from her family in a horrible accident, and as a result Triton outlaws the kingdom from ever playing music again. Ariel and her six sisters have a hard time connecting with their father during their teenage years. Sebastian, Triton’s trusted companion, is keeping a huge secret from the princesses and the king—and Ariel discovers it, as well as a love for music. It’s up to Ariel to help her father fall in love with music again, and to let go of the past. I really enjoyed this prequel to The Little Mermaid. I remember when it first came out, and even though I am a huge fan of the original Disney film, I didn’t seek this out. Last year I discovered a clip from the film on YouTube—the opening scene from the film with Athena—and couldn’t stop crying when I watched it. Watching that clip was a great motivator to finally see Ariel’s Beginning, and I am so glad that I did. As soon as my daughter saw me with the Blu-ray in hand, she asked to watch “more Ariel.” The film definitely features some sadness, but that is all balanced out by the hilarious antics of the mermaid sisters and the villainess of the film, Marina del Rey, making it a film I was fine with showing her. Many of the themes will not make sense to her until she is older, but for now she is having fun with all of the colorful characters and new songs. In Return to the Sea, Ariel and Eric are celebrating the birth of their daughter, Melody, with King Triton and all of Atlantica. But their celebration is interrupted when Ursula’s sister, Morgana, attempts to destroy the young princess. Ariel, realizing that Melody will never be safe in the water as long as Morgana is on the loose, sets up a boundary between Atlantica and Eric’s kingdom. Melody will never know of her mermaid heritage until Morgana is stopped. Triton, heartbroken over losing all contact with his granddaughter, assigns Sebastian with the task of watching after her. Now twelve years old, Melody is just as headstrong as her mother was when she was a teenager. Melody sneaks out of the castle to swim in the ocean, giving Morgana the opportunity to use her to get to King Triton. Will a family’s love be enough to save Melody from Morgana’s clutches? In a lot of ways, it was so weird watching Return to the Sea and realizing that Ariel is all grown up with a daughter of her own. I related a lot more to this film now that I have a daughter than I did when it first came out when I was a teenager. But perhaps the weirdest thing of all was seeing Prince Eric sing in this film; he never sang in the original film! Pat Carroll voicing Morgana was a bit confusing to my daughter; she thought Morgana was Ursula, and I had to explain that this was Ursula’s sister. My daughter recognized Carroll’s voice, and with the two characters looking so similar, I can understand her confusion. Even though Melody’s story might seem like the flip side of Ariel’s story, it may surprise you. I thought it ended a certain way (it’s been years and years since I’d last seen it), but was pleased to see it end in another way that was more satisfactory. My daughters all time favorite Disney Princess and movie. She is 15 now and still loves it. Even skated in a Littl Mermaid show. 🙂 What a great gift this would be. I love this movie. I haven’t watched it in years. I’d love to watch it with the kids. I have to get this Little Mermaid on DVD. It is such a colorful movie and the story is so good. Animation is my favorite movie to watch, and I am sure that my niece would love to watch this with me! 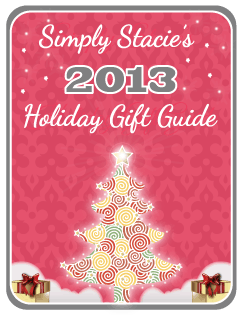 This might be a good Christmas present for my little niece! All my granddaughters loved The Little Mermaid 2 . I believe all of my grandchildren will love watching it on blu – ray !! Classic songs! My kid loved this movie.